Michelle R. Horvath serves as the Judicial Administrator at Cornell University. In that capacity, Michelle is responsible for: the operations of the OJA and providing department leadership; liaising with campus and community partners; engaging in policy development; and, understanding policy interactions related to the Code and the work of the OJA. Additionally, Michelle serves as the Deputy Title IX Coordinator for Students. Michelle received a Bachelor of Science in History from Grand Valley State University, a Juris Doctorate from Thomas M. Cooley Law School (now Western Michigan University—Cooley Law School), and a Master of Arts in Higher Education and Student Personnel from the University of Mississippi. Prior to joining Cornell in 2016, Michelle was the Director of the Office of Citizenship and Community Standards at Truman State University, and maintained a solo legal practice. Michelle enjoys traveling, hiking, listening to podcasts, and acting in her spare time. Christina Liang serves as an Associate Judicial Administrator in the OJA. Her primary responsibilities include investigating and adjudicating referrals to the OJA. Additionally, she serves on the Bias Assessment and Review Team (BART) and the Alcohol and Other Drug Incident Review Team. Christina received her Bachelor of Arts degree in English and Psychology as well as a Juris Doctorate from the University at Buffalo, SUNY (UB) in Buffalo, New York. Prior to joining Cornell, she worked in both Residential Life and Student Conduct roles at UB. As an active member of the Association for Student Conduct Administration (ASCA), Christina was awarded the New Professional of the Year award in 2016 and currently serves on ASCA’s Board of Directors as Treasurer. In her spare time, she enjoys watching documentaries, reading, testing new vegan recipes, creating info-graphics, and attempting to train her two cats, Archie and Rosie. Christina was born and raised in Brooklyn, New York. Vincent J. Ciampolillo serves as an Associate Judicial Administrator in the OJA. His primary responsibilities include investigating and adjudicating referrals to the OJA. Additionally, he serves as a liaison to Residential New Student Program (RNSP), West Campus Housing System (WCHS), and the Scheinman Institute on Conflict Resolution. 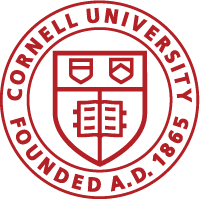 Prior to joining Cornell, he worked in both Residential Life and Student Conduct. He is an active member of the Association for Student Conduct Administration (ASCA), serving as a New York State Coordinator as well as the National Association of Community and Restorative Justice (NACRJ). Janey Bosch serves as Case Manager for the OJA. She opens all case referrals, helps manage overdue outcomes, adjudicates low-level incidents, and oversees scheduling of the University Hearing and Review Board, among other things. Janey came to Cornell from Harvard, where she worked at the Divinity School and in the House system. She is an avid swimmer and a new Let’s Meditateguide here on campus. Steve Morey serves as the Administrative Assistant and the first point of contact in the OJA. Steve is most likely the first person you will see when you arrive at our office. 2018 will be Steve’s 20thyear at Cornell, and his 12thyear with the OJA. Steve was born in Ithaca and in his spare time, he enjoys gardening and yard work. He also enjoys refurbishing old furniture. He always have on-going projects at home that keep him busy. The OJA welcomes anyone to stop in to say hello, have a cup of coffee, or tea, and enjoy some candy.